If you’re considering opening your first IRA, or Individual Retirement Account, good for you! No matter how old you are, it’s never too early to start saving for your golden years. After all, it’s likely the biggest financial goal you’ll ever have. An IRA lets you invest your savings so they hopefully grow over time into a healthy nest egg. Plus, it can deliver attractive tax perks and offers you an opportunity to save for retirement, especially if you don’t have an employer-sponsored 401(k) or have maxed it out already. So what are you waiting for? Doing the responsible thing doesn’t have to be difficult. Here’s a step-by-step guide for getting into the IRA game. Traditional and Roth IRAs are the most common types of IRAs. Both allow you to save a certain amount toward retirement each year and invest in an array of assets. They differ in two key ways. First, you can only contribute to a Roth IRA if your income falls below a certain limit . Second, Traditional IRAs allow you to deduct your contributions on your tax returns now, meaning you pay taxes on distributions when you retire. With a Roth IRA, you contribute funds after taxes, but you withdraw money tax-free in retirement. Traditional IRAs allow you to deduct your contributions on your tax returns now. It’s often better to go with a Traditional IRA if you pay a lot in taxes now and think you’ll be in a lower tax bracket after retirement. If you’re eligible, go with a Roth IRA if you typically get a refund and expect to be in a similar or higher tax bracket when you retire (for example, if you plan to have substantial income from a business, investments or work). Still confused? Check out our breakdown between the two, and consult our IRA Calculator for help deciding which account is right for you. 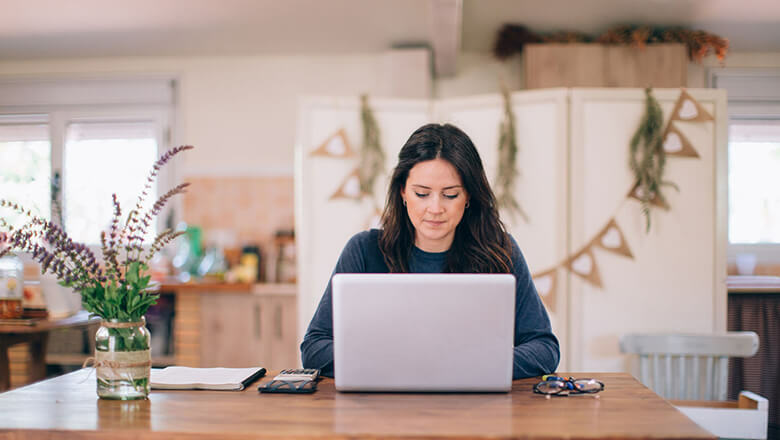 If you’re self-employed, consider a SEP IRA, which may allow you to contribute more than other IRAs, depending on your income. You can open an IRA at a brokerage, mutual fund company, or other financial services provider, including SoFi Invest, which makes it easy to open an IRA online and transfer money from your bank electronically. If you are leaving a job with an employee-sponsored retirement plan, you can rollover your 401(k) into an IRA to give yourself better investment options, and potentially lower fees. As of 2017, you can contribute up to $5,500 a year to a traditional or Roth IRA (or slightly more if you’re older than 50). In most cases, you’ll want to throw in as much as you can up to that amount each year to take full advantage of the power of compound interest. A retirement calculator can help you figure out whether you’re on track. A quick rule of thumb that many financial advisors use: By the time you’re 30, you should have the equivalent of one year’s salary saved. If you’re rolling money over from a 401(k), there’s no limit to how much you can contribute to an IRA at that time. Note that you can withdraw cash without paying taxes or penalties in certain situations , but you don’t want to treat your retirement account as a piggy bank, because there are limits. If retirement is still a long ways out, you may not want to let your money sit around in cash. You might actually be losing money that way, considering inflation, and you’re less likely to reach your retirement goals. Instead, consider investing it in a range of well-diversified index funds which, though all investing carries risk of loss, can over time provide you with potentially better returns. One of the simplest ways to invest is to choose a “target date fund,” which is a mutual fund geared toward the year you plan to retire. This type of fund will automatically update your mix of investments so they’re more aggressive earlier in life and more conservative as you approach retirement. SoFi Invest makes opening an IRA easy. Sign up for a SoFi Invest account online, in less than five minutes. Our technology can help you pick an appropriate mix based on your age and retirement goals. And if you have any questions or want personalized advice, you can set up a call with a SoFi Invest advisor—absolutely complimentary.